The mixed reality is a technology used for visualizing the real and virtual world object in real time. This technology aims at combining the best aspects of both virtual reality and augmented reality. In this case, the mixed reality can include augmented reality, augmented virtuality, and other mixed configurations. Instead of residing in an entirely virtual world, virtual objects are anchored into user’s real world, thereby making the virtual interactions appear to be real. 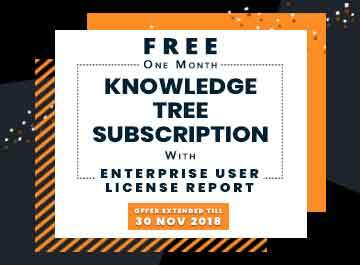 HTC Corporation, Intel Corporation, Magic leap, Inc., Microsoft Corporation, Facebook, Eon Reality, Inc., Google Inc., Samsung Electronics Co. Ltd., Seiko Epson Corporation, and Meta Company are some of the key players operating in the industry. The global mixed reality market is segmented based on component, device, application, and region. By component, the market is bifurcated into hardware and software. The hardware segment is divided into sensor (magnetometer sensor, accelerometer sensor and others), semiconductor components, and power units. Based on device, the market is classified into wired and wireless. The applications covered in the study include aerospace & defense, architecture, entertainment & gaming, medical, and others. Furthermore, the medical segment is segmented into simulation training, visualization of scans and surgery. Based on region, it is analyzed across North America, Europe, Asia-Pacific, and LAMEA. Surge in adoption of mixed reality in games & entertainment industries and rise in demand from the education sector impact the growth of the market. In addition, high cost of mixed reality devices affect the growth of the global mixed reality market. These factors are anticipated to either drive or hamper the market growth. The gaming & entertainment industries are on a continuous process to bring innovation in their respective fields. Intense competition is one of the key reasons why the players in these industries always want to come up with innovative ways to distinguish themselves from their competitors. Thus, use of mixed reality makes the game and movies not only appealing but also more interactive. In addition, rise in need for innovation by users encourage both industries to invest in such technologies, which is expected to supplement the growth of the market. Mixed reality is of great help for students and teachers, as it makes things interactive. Moreover, trainers can use such devices to teach trainees without the need of being at the same place. This technology not only ensures better and interactive ways of study but also helps reduce the learning errors, as it uses 3D pictures. These factors altogether significantly contribute to the growth of the market. High cost of mixed reality device is expected to restrict the commercial adoption, thus impacting the market growth. Increase in technological advancements and innovations in mixed reality compel the manufacturers to sell the device at the premium price. Thus, increasing the cost of the mixed reality devices for customers across several applications such as gaming & entertainment, sports, education and others. 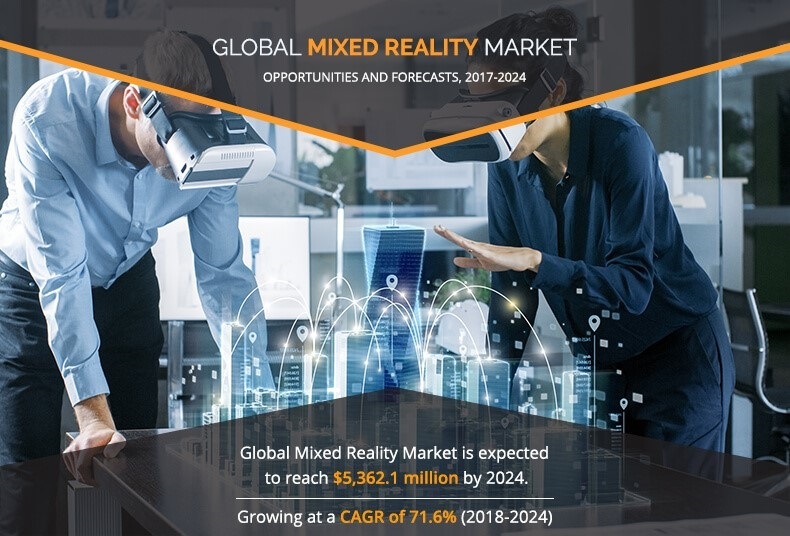 This study comprises analytical depiction of the global mixed reality market with current trends and future estimations to depict the imminent investment pockets. The overall market potential is determined to understand the profitable trends to gain a stronger foothold. The current market is quantitatively analyzed from 2018 to 2024 to benchmark the financial competency. Porter’s Five Forces analysis illustrates the potency of the buyers and suppliers in the industry. 8.9. SAMSUNG ELECTRONICS CO., LTD. 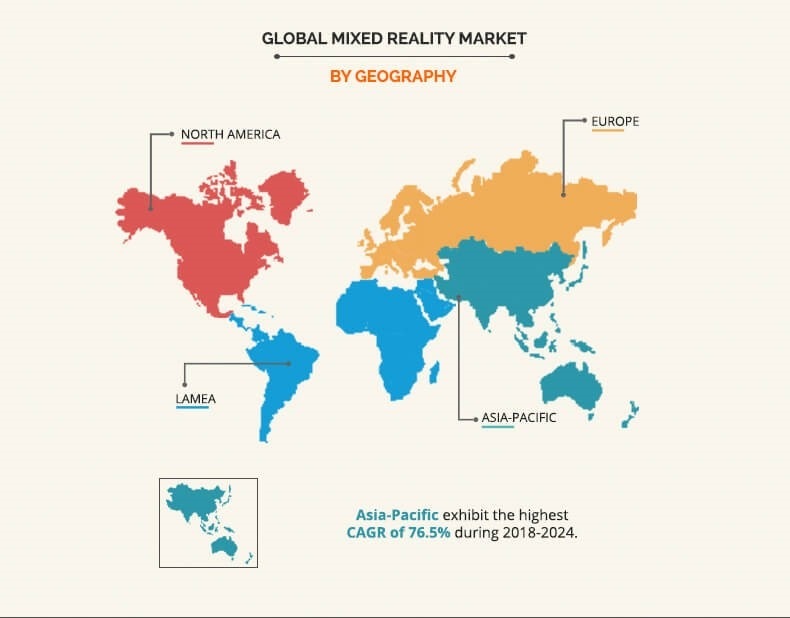 The global mixed reality market is expected to witness robust growth in the near future, owing to increase in demand for innovative & wearable products and the benefits. Moreover, increase in adoption of mixed reality in the aerospace & defense sector for training programs fuel the market growth. In addition, the device can be used in schools, as it provides 3D images, which helps in interactive way of learning. Unlike the augmented reality (AR) or virtual reality (VR) that replace the real world with a simulated one, the mixed reality merges the real world with the virtual world, and physical and digital objects coexist and interact in real time. 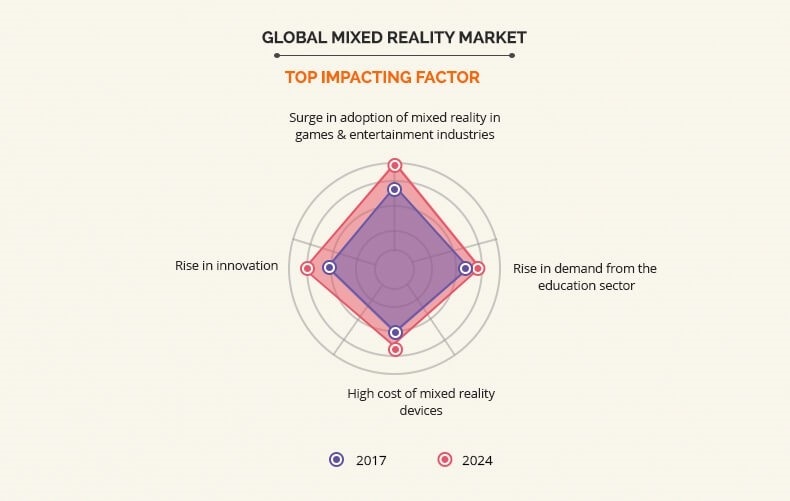 Growth in demand for mixed reality devices in the gaming & entertainment industry and rise in demand for mixed reality devices in the education sector majorly drive the market. However, the price-based constraints of the mixed reality devices as they are not cost-effective due to its high-tech features impede the growth of the market. In the near future, constant innovation of the semiconductors & sensors industry and increase in number of tech-savvy population, mixed reality technology is expected to create lucrative opportunities for the key players. Among the analyzed geographical regions, Asia-Pacific is expected to account for the highest revenue in the global market in 2017 followed by North America, Europe, and LAMEA. However, LAMEA is expected to grow at a higher growth rate, predicting a lucrative market growth for the semiconductor IP market. HTC Corporation, Intel Corporation, Magic leap, Inc., Microsoft Corporation, Facebook, Eon Reality, Inc., Google Inc., Samsung Electronics Co. Ltd., Seiko Epson Corporation, and Meta Company are the key market players that occupy a significant revenue share in the global mixed reality market.